After working as a self-employed taxi driver, Glenn was ready for a change. A new career as a lawn care franchisee offered the perfect solution. Prior to starting his franchise, Glenn worked as a self-employed taxi driver in London, and before that as a self-employed carpenter. I wanted something that would not only improve my finances but also my health. It needed to be profitable, interesting and easy to learn. After speaking to current franchisees and learning about the support offered by Green Man, I knew it was the path for me. There are many reasons why people choose to run a Green Man Lawn Care franchise. The ability to plan your own time combined with the support and business opportunities that come from being part of a nationwide network make owning a franchise the ideal solution for those of us who want to be our own boss – but without the headache of dealing with everything ourselves. 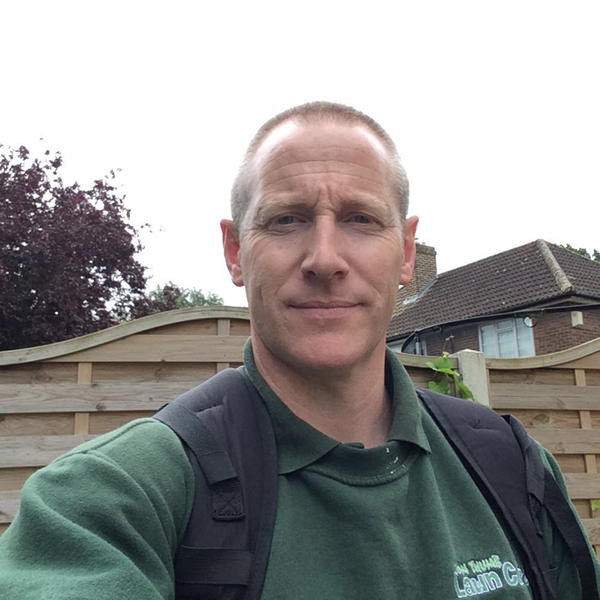 At Green Man Lawn Care we guide you through some of the most challenging aspects of being self-employed. From getting the right machinery for the job, organising your NPTC training, through to creating a bespoke marketing plan and answering your customers’ queries throughout the day, we’ve got it covered. We often hear about people starting their own business in a bid to spend their days doing what they love, only to get bogged down in endless admin. At Green Man we’ve got the systems in place take the stressful jobs out of your hands. Our Head Office deals with taking payments over the phone, credit control, and rescheduling customers’ lawn treatments so that you can focus on the job you signed up for – treating customers’ lawns and growing your business. If you’re interested in finding out more, get in touch today!